Thanks to a report recently prepared by China Labor Watch, I came back to the topic of poor work conditions in the factories of the manufacturers of Apple products. An audit made inside of the Pegatron facility in Shanghai where iPhones and iPads are manufactured revealed that 58% of the employees work over 60 hours per week and therefore over the limits set by Apple. Officially, overtime is voluntary, but in reality it is obligatory due to the both low wages paid to workers and the demands of the employer. According to China Labor Watch, the documents concerning working conditions and work hours that suppliers have to show to Apple were faked by Pegatron. The workers were forced to sign declarations of completing 24 hours of obligatory safety courses, when in reality the courses were three times shorter. The workers were also provided with the answers for the obligatory test they had to pass. According to China Labor Watch, this wasn't the first time manufacturing workers have been subject to poor work conditions. During audits conducted from March to July 2013 in Pegatron and Riteng factories in Shanghai and Avy in Suzhou, employing over 70,000 workers altogether, China Labor Watch revealed 86 different forms of workers rights abuse, including overly long shifts, low wages, managers not respecting contract details and the rights of women, employing underage workers, poor accommodations, and poor working and safety conditions as well as a lack of health care, exposure to environmental pollution, and problems with getting holidays and days off. There were even cases of bullying that occurred. Thanks to interviews with about 200 former and present Pegatron employees, one can find out that after a long shift workers return to their dormitories where they sleep in a room for twelve people and have to wait in long queues to take a quick and cold shower. One can find out that there are even cases of abuse of the 8 hour daily work limit for pregnant women. Probably the most talked about exposé was the BBC One documentary called "Apple's Broken Promises" that was broadcast in late 2014. It was partially recorded with a candid camera in order to show the work conditions on the Pegatron iPhone production line with employees falling asleep due to enormous fatigue. It is hard to be surprised at this; despite having used an iPhone for many years, I would probably also fall asleep after spending dozens of hours watching and testing them. The reports mentioned above have fixed in the minds of the public the picture of Pegatron as an Apple supplier trying to exploit its employees in every possible way. 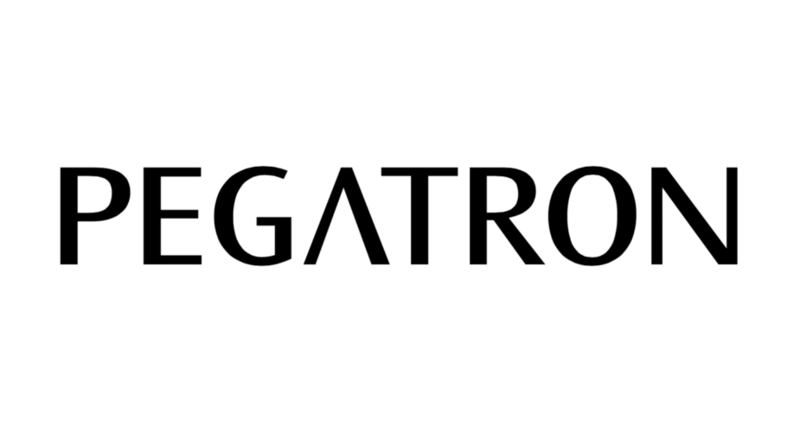 As a matter of fact, Pegatron is a supplier to many other brands of consumer electronics in addition to Apple. Pegatron was founded in 2008 as a result of splitting Taiwanese Asus into three separate companies. Pegatron is one of many ODMs (Original Design Manufacturer) - companies that manufacture products for other brands. In this case it manufactures logic boards, graphic cards, laptops, smartphones, tablets, game consoles, TVs and set top boxes. Not all of the products are Macs, iPads or iPhones. So linking Pegatron’s abuse of workers only with Apple is very convenient for other brands. They stay in the shadow of the company from Cupertino and thus they can avoid accusations of exploiting workers. Since each such publicized scandal concerned Apple, the other manufacturers have been lucky staying out of sight. Do you prefer PlayStation or Xbox? Doesn't matter, since both of them — including present and past generations — are manufactured by Pegatron. Although the game consoles are not as popular as smartphones, they sell in dozens of millions. In an interview for Edge magazine in July 2015, Phil Spencer - head of Microsoft's Xbox division - said that in the 18 months after the release of Xbox One, the Redmond company sold more of the new consoles than Xbox 360s, meaning over 11 million. Sony boasted that it had sold 25.3 million Playstation 4 consoles when it presented the results for the end of second quarter of 2015. Is there anybody who is going to write about the working conditions of the workers assembling them? No, because nobody cares. The main target of complaints from China Labor Watch and the media is Apple. All of the devices mentioned at the beginning of this article are made by ODMs. Pegatron assembles computers for HP and manufactures Microsoft’s Surface tablet. Philips TVs are now entirely made by the Chinese firm TPV Technology. Kindle e-book readers, Motorola smartphones and some game consoles are assembled in factories owned by Foxconn - a firm that could be the topic of a separate article and which is strictly identified with Apple. People seem to forget that Foxconn manufactures 40% of all consumer electronics in the entire world. Despite Pegatron and other ODMs doing work for companies other than Apple, the Cupertino-based company is accused of any and all abuses revealed during audits. Apple is one of a few companies that actively try to engage in attempts to improve working conditions in supplier factories by setting limits, trying to enforce regulations, conducting their own audits and publishing annual reports. This effort is achieving some positive results, but it isn’t enough to avoid continuing to be accused of exploiting workers in Chinese factories. There is some good that comes from this — according to China Labor Watch, media coverage has increased awareness of consumers and led to improved work conditions in both Pegatron and Foxconn facilities. If only the media targeted not only Apple, but the other brands as well, there could be even more improvement.